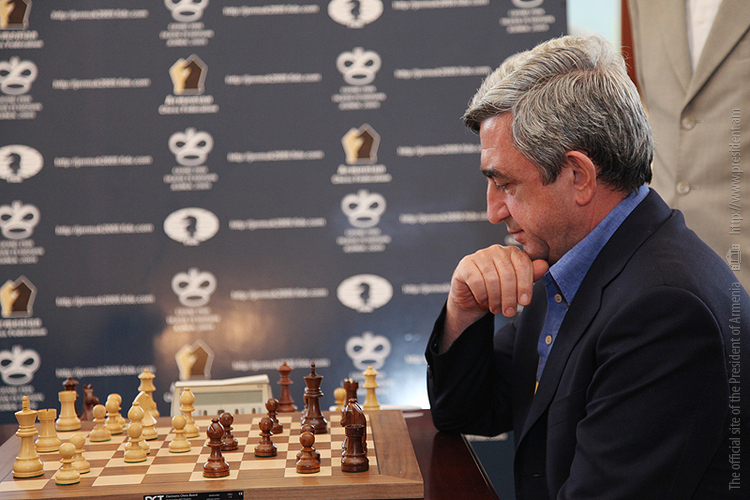 Armenia: Where is Serzh Sargsyan? The former president was enemy number one of Armenia’s “Velvet Revolution.” Since being ousted, Sargsyan has virtually disappeared, but he remains in the country and appears safe – for now – from the wave of prosecutions targeting former officials. When Serzh Sargsyan cast his vote at a school gymnasium in Armenia’s December 9 parliamentary elections, it took several tries for the machine reading his fingerprints to recognize him. A video of the event went viral in Armenia; it was a rare public appearance for the former president – and once the country’s most recognizable man – who since being cast out of office last April has been almost completely invisible. Sargsyan was the target of the massive street protests that eventually led to his ouster; the main slogan of the demonstrations was “Reject Serzh.” His resignation in April after 10 years in power prompted unprecedented scenes of jubilation across the country. But unlike most former post-Soviet heads of state, Sargsyan has remained in his country after leaving office, and unlike many of his associates and family members he has been spared from the wave of prosecutions being carried out by the new authorities against corrupt members of the old regime. The source said that Sargsyan’s disappearance from public life is in part due to “the current atmosphere,” in which the political conversation is dominated by Prime Minister Nikol Pashinyan, who led the “Reject Serzh” movement in the spring before taking over from Sargsyan. “He keeps track of everything, but he doesn’t plan on speaking out any time soon.” As for Facebook, Armenia’s primary source of political expression, the source said that Sargsyan doesn’t read it himself but is regularly briefed on the most salient discussions. While he has disappeared from public, Sargsyan continues to be active in politics, as head of the former ruling Republican Party of Armenia. But the Republicans recognized that Sargsyan was not a popular figure and so the former president was excluded from the party’s list of candidates and the slate was instead headed by former defense minister Vigen Sargsyan (no relation to Serzh). Regardless, the party performed below expectations and failed to reach the threshold to enter the new parliament. Sargsyan’s stewardship of the party has reportedly been opposed by other members. According to a post-election report in the newspaper Past, some party officials were unhappy with the appearance of some candidates on the party list, which they blamed on Sargsyan. But Vigen Sargsyan said there was no talk of jettisoning Serzh Sargsyan as party leader. At a November press conference, he said that big decisions will be made at the party congress in the spring. Despite the central role that Sargsyan played in the protest narrative, since taking office Pashinyan has been relatively quiet about his predecessor, instead aiming most of his fire at other former officials – most notably another former president, Robert Kocharyan. The fact that Sargsyan has remained untouched has spurred speculation about a potential deal that he may have made with Pashinyan when he resigned and cleared a path for Pashinyan to take his place. But the source close to Sargsyan denied that: “There were no deals made. Nothing happened except for what has happened in public,” the source said. Many of Sargsyan’s associates and family members have not been as lucky, and have been targeted by investigations under the new government. In September, Pashinyan took aim at Sargsyan’s brother, Alexander (commonly known as “Sashik”). “Sashik Sargsyan has $30 million in one Armenian bank alone,” Pashinyan said, and demanded that Sargsyan voluntarily return the money to the state treasury. In November, Sashik Sargsyan complied, and agreed to hand over the $30 million to the state. In the summer, Armenian law enforcement raided the home of a nephew of Sargsyan’s, Narek Sargsyan, discovering large caches of drugs and weapons. Narek Sargsyan fled the country but in December he was arrested in Prague; when asked to produce identification he presented a Guatemalan passport under the name “Franklin Gonzalez.” The authorities also have brought charges against another nephew, Hayk Sargsyan, related to a 2007 shooting. Sargsyan’s public silence also has served him well, Sanamyan said, in contrast to Kocharyan, who emerged after Pashinyan’s ascent to power as an outspoken critic of the new authorities. “Serzh remained completely silent as people closest to him, as well as ex-president Kocharyan, were targeted, which tells me that Serzh is still wary of antagonizing Nikol,” Sanamyan said. Another analyst, Yerevan-based Richard Giragosian, said there were “two equally plausible scenarios” for why Sargsyan has remained beyond the reach of the anti-corruption investigations. “First, despite the rumors, Sargsyan himself may have been smart enough to avoid any direct personal connection to ill-gotten wealth or corruption, instead relying on his bodyguard or head of security and his notorious brother to hide or safeguard his own wealth,” Giragosian told Eurasianet. “Or second, he may have been beyond the temptation of securing the wealth, driven instead by the pursuit of power over money,” a tendency he had displayed throughout his political career, he said. Indeed, while many Armenian officials have been implicated in scandals involving offshore holdings of ill-gotten wealth, Sargsyan’s name itself has never surfaced in those reports. Sargsyan reported in official declarations that at the end of 2017 he had 26 million drams in assets, or just over $50,000. Ani Mejlumyan is a reporter based in Yerevan. Grigor Atanesian and Joshua Kucera contributed reporting.